Whether you’re just looking to upgrade your recycling situation at home, or you’ve been tasked at work with purchasing recycling bins for your facility, it can be a bit overwhelming once you realize how much selection exists. Due to the vast number of options out there, it can start to feel like a huge waste of time if you don’t know what you’re looking for before you start the process of looking. 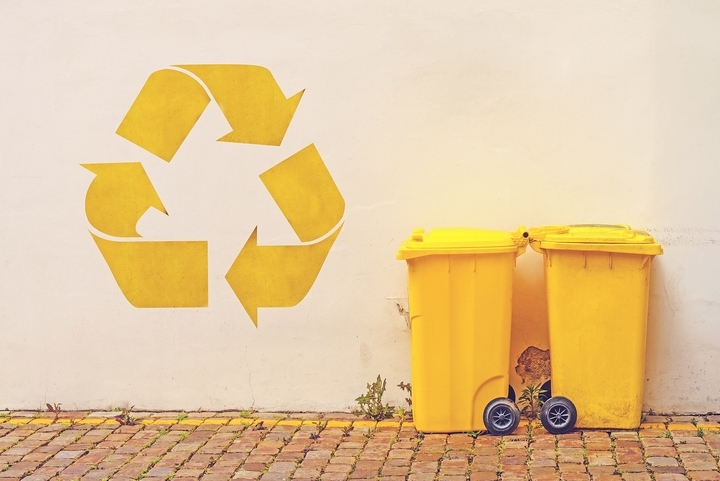 Luckily, it doesn’t have to so complicated to find everything you need to implement a successful recycling program that will be well received by all those it services. 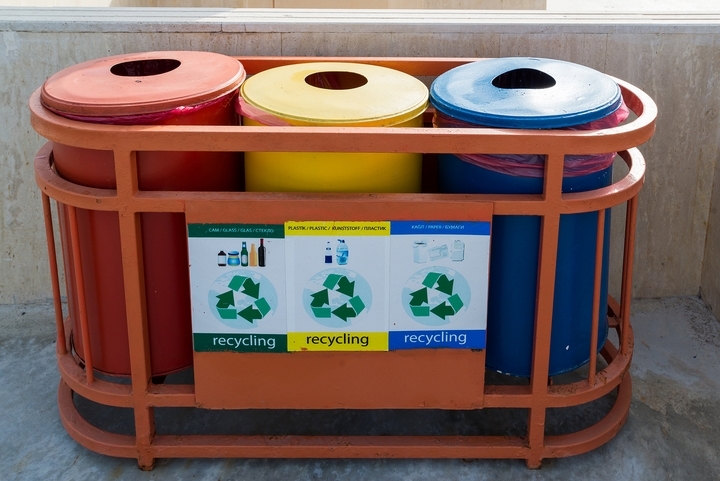 Here are some of the main considerations you should be aware of when purchasing recycling containers. The first thing you need to consider is the placement of your recycling bins. There are two primary factors that should influence this decision, the first, and most obvious, is of course space availability and where they will be able to fit. The second consideration, which should also not be neglected, is where the recycling bins are most likely to get used. Take some time to consider what kind of waste is being generated in your space and how it is currently being dealt with. Schools, offices, and home environments all generate waste differently, and recycling containers need to be placed in strategic locations if anyone is going to use them. Get an idea of the waste flow, figure out where you have space, and go form there. In assessing the flow of waste throughout your space, take into consideration not just where it is being produced, but how much of it is being produced. You need to select a container setup that offers the appropriate capacity according to you, or your organization’s schedule. This will help you consider how many bins you require and how large they need to be. Depending on your task, you can spend a week analyzing the amount of recycling that is produced, or even talk to your waste hauler about which streams you’re able to collect, as they can vary by city of region. In some places, you’ll need to separate all your recyclable into different containers, whereas in other places you can put everything into one. Make sure you have appropriate containers for everything you can recycle in your area. 4. Do you need your bins to be resistant to the elements? 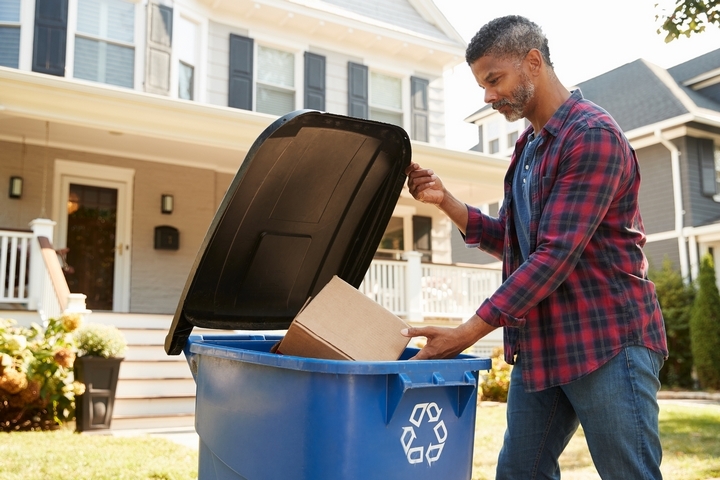 If you’re ordering outdoor recycling bins, you definitely need to be aware of the climate factor. Harsh winters or strong winds both require a different level of durability than bins that will only be used in stable or interior conditions. You may need to consider accessories such as anchor kits, if you’re concerned about the bins staying safe and grounded. Pest-proofing might also be something worth thinking about in outdoor spaces. 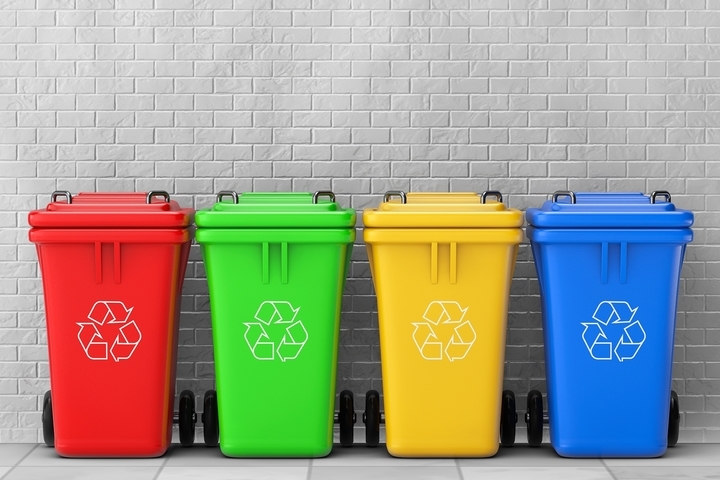 When it comes to openings, you typically want to go with a fairly restrictive, color-coded system in order to facilitate an effective recycling program. 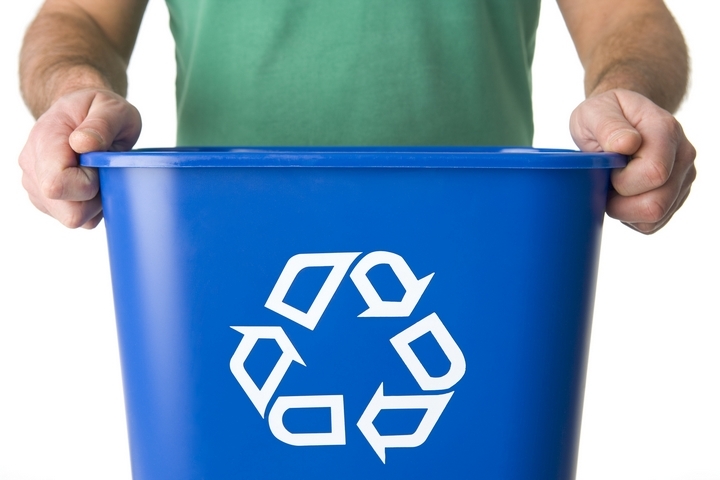 Make yourself aware of recycling conventions in your area and try to follow suit. Restrictive openings are helpful because they encourage users to be more mindful about where they are discarding their waste. 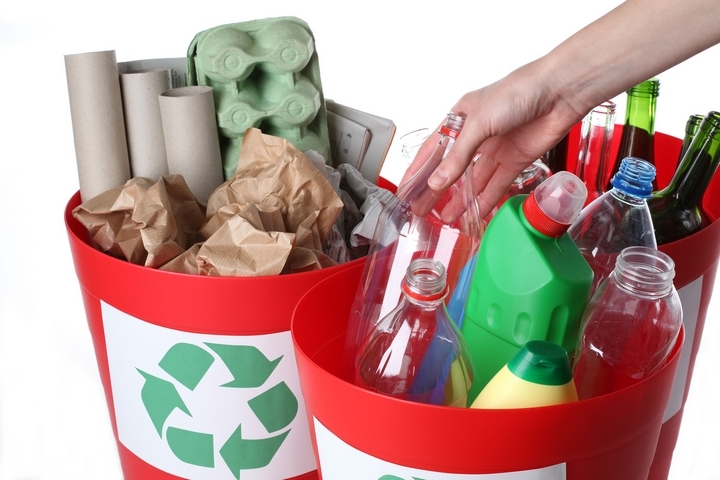 This can be especially important if separation is key to the success of your recycling setup. Alongside effective openings, graphics that stand out and clearly communicate what needs to go into that bin are critical for success. If your recycling program has stream signage that’s unclear or confusing, you’re most likely increasing your contamination rates.